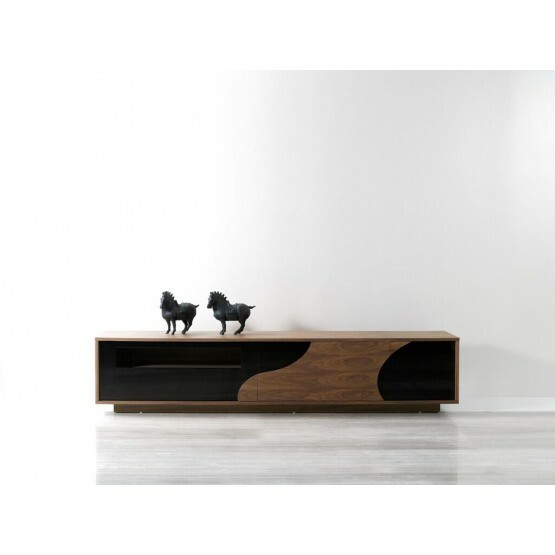 Modern TV Base 101F for TVs up to 86"
A beautiful play of walnut veneer & black high gloss that coalesces for an contemporary eyecatching design. 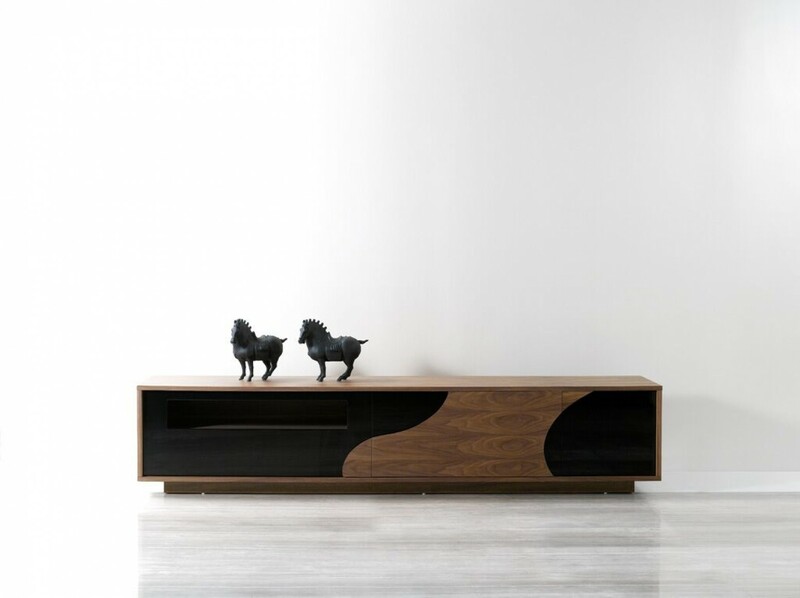 Modern TV base 101F features quality soft closing tracks, and precut holes for easily connecting your choice of equipment. W86.6" x D18.8" x H18"